Indigenous Peoples’ knowledge and creativity is a valuable source of inspiration for all, but is largely accessible and might benefit from being better protected, the head of the UN World Intellectual Property Organization said this month. WIPO is currently negotiating an international instrument or instruments to better protect genetic resources, traditional knowledge and traditional cultural expressions (folklore). 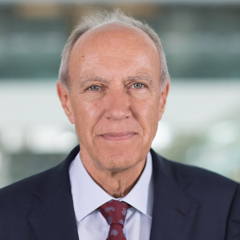 WIPO Director General Francis Gurry issued a message on the International Day of the World’ s Indigenous Peoples on 10 August. The issue of negotiations is expected to be on the agenda of the upcoming (October) annual WIPO General Assembly of member states. In his message, available here, Gurry highlighted the value to the world of indigenous knowledge. But while it is valuable, its accessibility means it may be prone to misappropriation and misuse, he said, without benefit to its originators. These negotiations have been difficult at times due to differences among member states, as covered closely by Intellectual Property Watch. Gurry also made reference to the broader United Nations effort to achieve the Millennium Development Goals and come up with new goals after 2015, which will be addressed at the September UN General Assembly in New York. Participation of indigenous people in the closed-door negotiations at WIPO has been an issue over the years, in part due to frequent shortfalls in funding to bring participants, but also by member states’ rules on indigenous representatives voting in committee. "WIPO Director Gurry Highlights Value Of Indigenous Knowledge" by Intellectual Property Watch is licensed under a Creative Commons Attribution-NonCommercial-ShareAlike 4.0 International License.